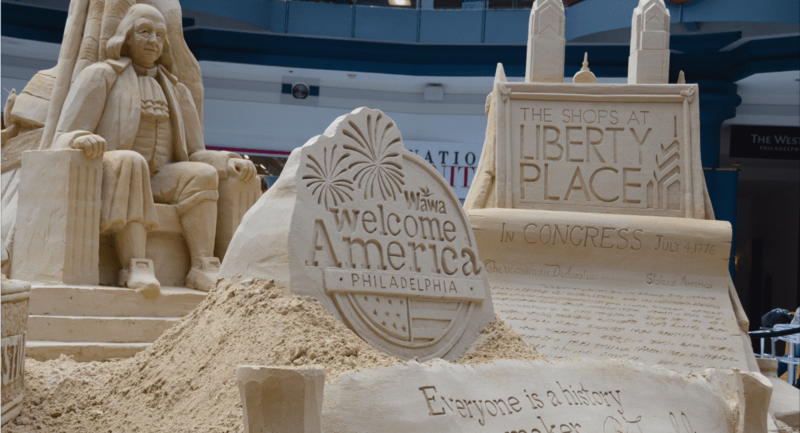 Beginning June 12, world-renowned sculptors will transform the Rotunda at The Shops at Liberty Place into a 40-ton sand sculpture spectacular with hand-carved scenes commemorating Parkway 100, the centennial celebration of the Benjamin Franklin Parkway. Get your cameras ready. This is one instagrammable moment you won’t want to miss! 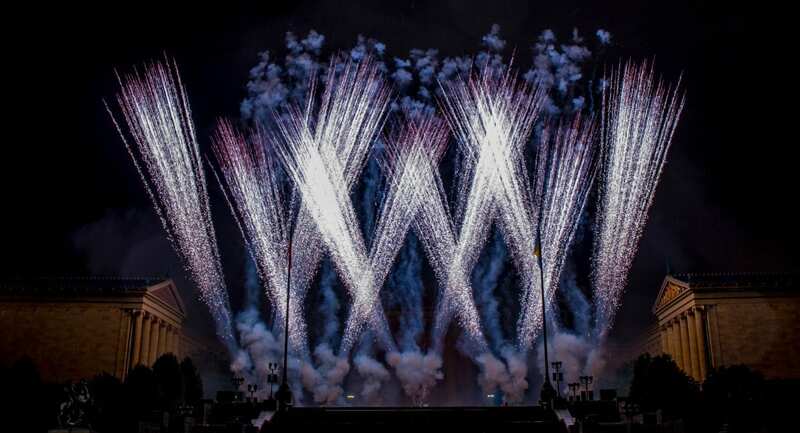 The Benjamin Franklin Parkway, one of the finest examples of bold civic planning in the United States, is celebrating its Centennial (“Parkway 100”), 2017-2018. Plans for a grand “Fairmount Parkway” date back to 1892. Ground was broken for the massive project in 1907, and in 1917, Philadelphia’s leaders formally adopted French urban planner Jacques Gréber’s Parkway design, emulating the Champs-Élysées in Paris. On October 26, 1918, the Parkway was officially open to traffic end to end. In 1937, the name of the Fairmount Parkway was changed to honor the city’s most celebrated citizen, Benjamin Franklin.